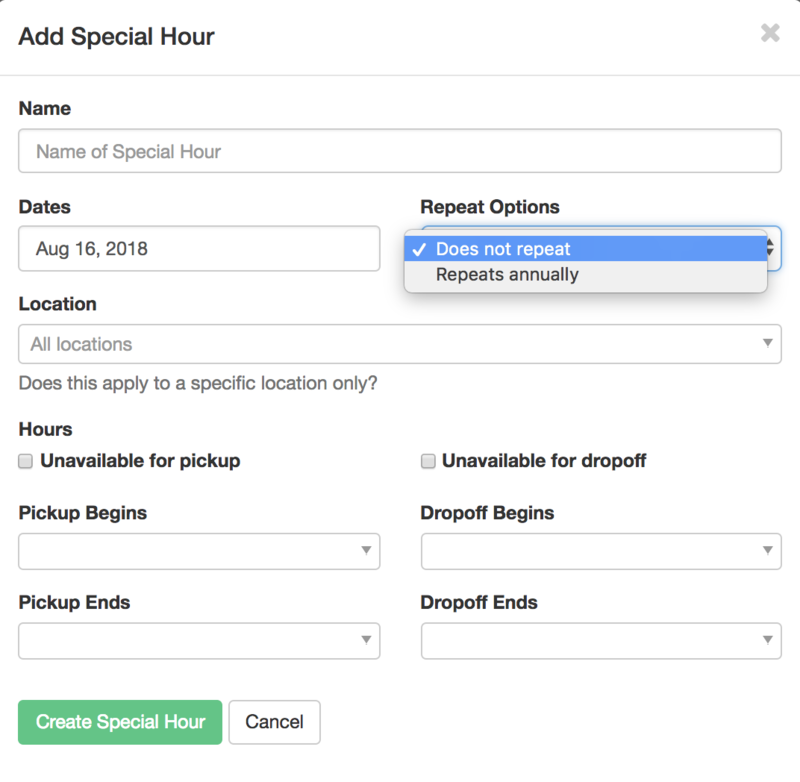 Special hours allows you to create periods of time in which you do not allow pick-up or drop-off, but want to allow a reservation to extend through these dates. Example: If you want renters to book through the new year (January 1st) but not allow pick-up or drop-off on this date, you can now create a special date range for this. Keep in mind you can also adjust pick-up or drop-off by the hour of the date chosen. How do I create Special Hours? The example below is creating a "New Years Day" Special Hour that does not allow pick-up or drop-off for the entire day of the 1st of January. Don't hesitate to reach out with any questions about this feature.